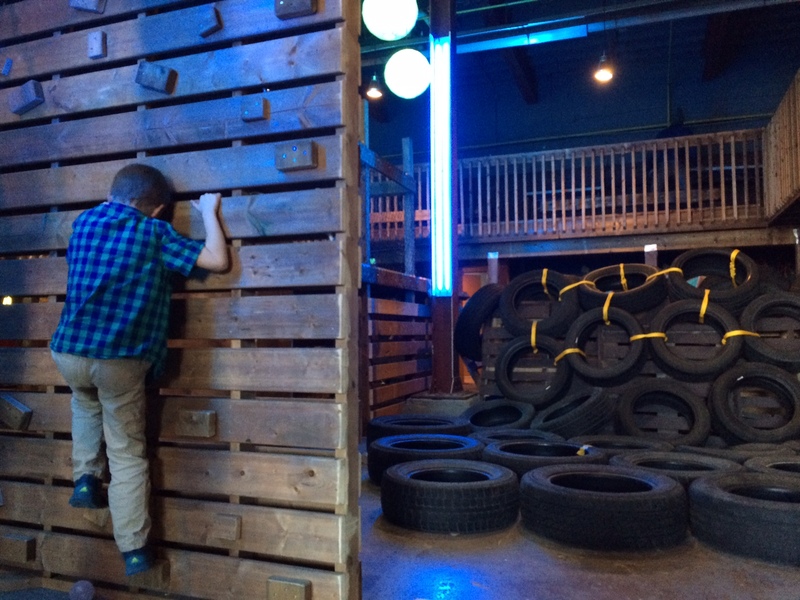 Pursuit OCR – Toronto’s Indoor Obstacle Course | Kids in T.O. NEW LOCATION IN NORTH ETOBICOKE – they currently don’t offer sessions for families (like their old location described below.) But it’s new bigger location has more options for moms and dads in TOw!. 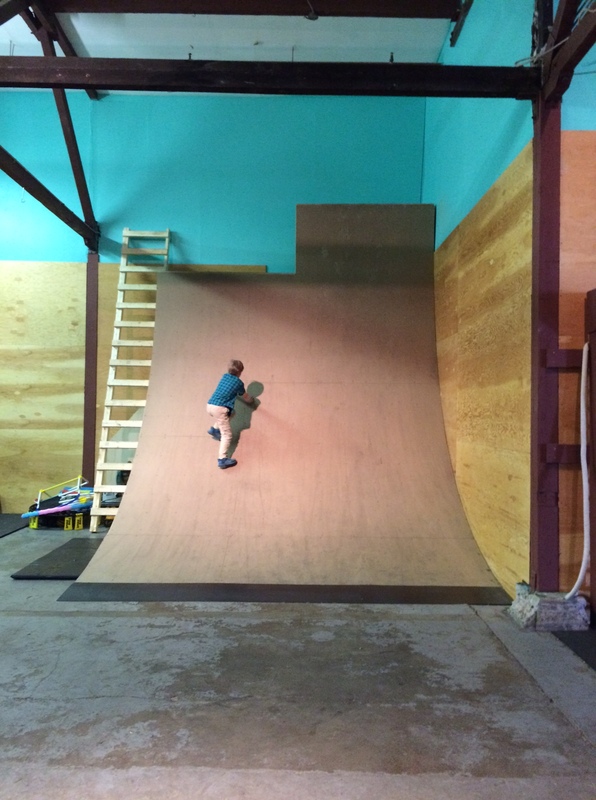 He ran up a half-pipe, climbed over tire tubes, jumped and swam in the ball pit and scaled walls — with mom in TOw. 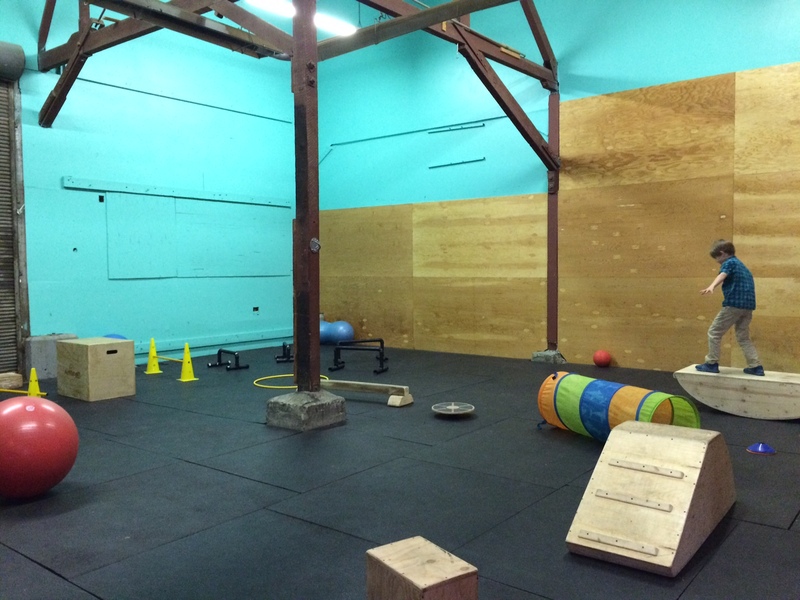 This is how the whole family can spend Sunday mornings in Toronto at Pursuit OCR. On our first visit, we met Patricia Gora, an Early Childhood Specialist and founder of YOGART STUDIO, who developed the series for Pursuit. After a warm welcome and a high five, she walked us through the course showing how kids can adapt and have fun on a course that was designed for adults. I loved how she told my six-year-old to “take your time” instead of “be careful.” He does not have the ‘no fear’ gene, but wasn’t at all fazed by the challenge and circled through the course about ten times. While there aren’t many mats over the concrete floor and obviously many of the rings and bars are too high the 12-and-unders, it is easily kid-friendly. My guy especially loved the swinging rope and laser tunnel. Me? I have to admit, I loved that it was a challenge for me to keep up! 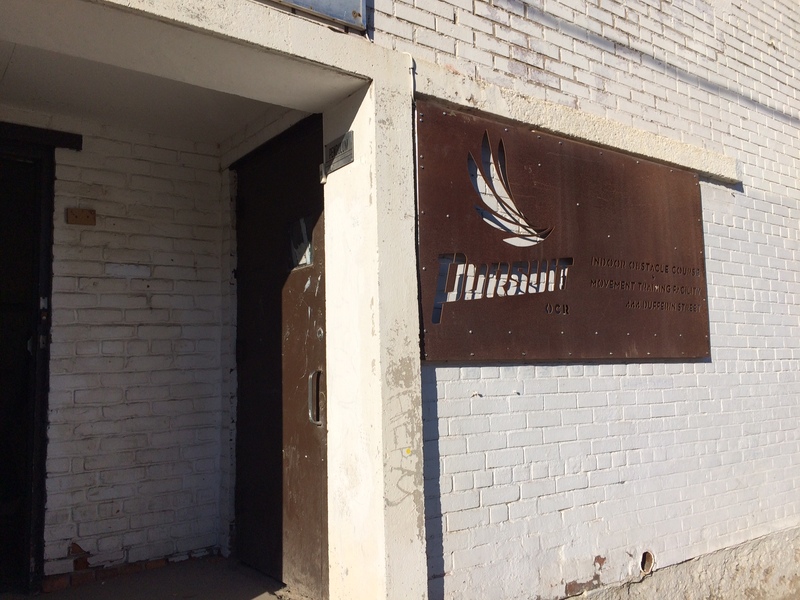 Getting there: Pursuit is located on the west side of Dufferin just north of Queen St. West. There is shockingly free street parking on Sunday mornings. On TTC, take the 501 Queen St. Streetcar to Dufferin and walk north. Low-down: Cost is $10 per child (one-year-old and under are free.) Accompanying caregivers are free. There is no drop-off/babysitting services – adults must actively supervise their children. Playing with your kids is encouraged! Sign the waiver there or online. Activities for all ages: Depending on your child, kids 4 and older (and the parents who are keeping an eye) would probably enjoy the obstacle course the most. For the littler ones there is a mini-obstacle course (pictured above) and some toys and books. There are also some planned short 3-7 minute programming led by Patricia that kids can choose to participate in and the activities reflect the goals of the Ministry of Education’s Health and Physical Education Curriculum. Plan your visit: Demand is huge, so there is a sign up system. Snacks: Bring your own snacks. Bring your own water. (Water bottles for sale $1.) Nut-friendly. There is a small stage area and some room to relax and picnic. Potty time: Yes, washrooms on main floor. No baby change table. Adults in TOw: Big kids are welcome to play any day for classes and/or obstacle course. It’s open daily from 7 a.m. to 11 p.m.